After a sleepless night in a chilly tent camping out with my son’s Cub Scout pack, I awoke with a sore throat. In preparation for cold season, I was prepared. 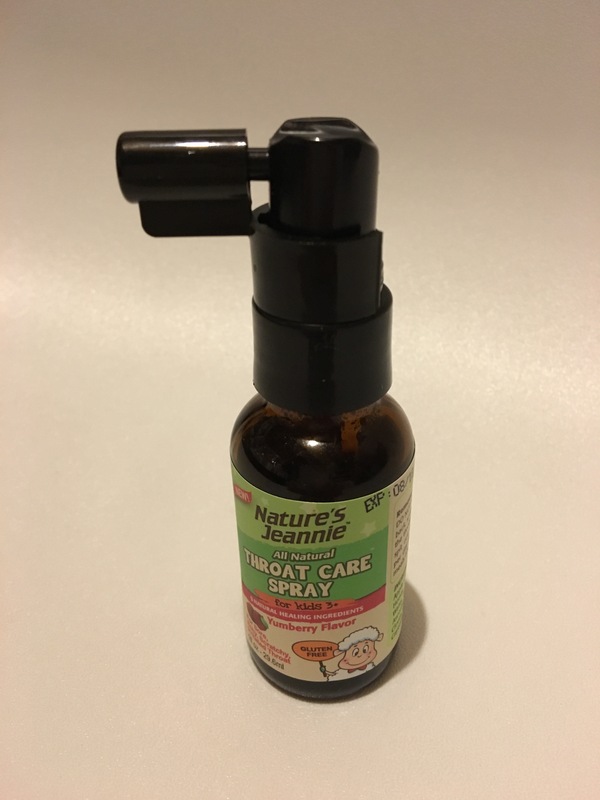 I had armed my medicine cabinet with something news this year, Nature’s Jeannie All Natural Throat Care Spray. My hope was that this elixir would be a good alternative to Chloraseptic Sore Throat Spray, which I have used for many years. As the Nature’s Jeannie is all natural ingredients and intended for kids age 3 and up, I anticipated it being better and safer not only for my son if he got sick buyt myself as well. The spray contains nine natural healing ingredients to treat sore, itchy, scratchy, irritated throats. One primary ingredient is apple cider vinegar, which is currently en vouge in the natural health community, touted for health benefits ranging from weight loss to diabetes prevention. I expected the throat spray to be similar to the other chemical numbing sprays I have used in the past, and so I was got a big surprise when I flushed my tonsils with the Yumberry flavor and immediately felt a sharp stinging sensation. I attempted to follow the instructions which said to let it sit in the throat for 20 seconds, but wimp that I am. I lasted about five seconds before I had to spit, partly due to the intense tingling and partly due to the sharp flavor. The directions also said to repeat it this procedure up to five times per day as necessary, preferably after meals and before going to sleep. I thought I might get used to the flavor and sensation, and I tried again a few hours later, and again could not make it to 20 seconds. The flavor reminded me a lot of the numbing agent that dentists apply with a Q-tip right before they give you a shot of Novacaine in the gum. The spray had a little of the same effect of numbing, but it was not as long lasting as Chloraseptic and similar sprays I have used in the past. I gave a closer read of the ingredients, and it was obvious why I felt the stinging sensation when this formula hit my raw tonsils. It contains Himalayan salt, and cayenne pepper, among other purported healing ingredients, such as buckwheat honey, licorice root, cloves, origanum vulgare, cherry extract, and the aforementioned apple cider vinegar. It seems these are all great ingredients used for anti-inflammatory, germ-fighting, irritation-soothing and antioxidant properties. The Yumberry also has a soothing effect and adds a berry-like pleasing flavor, especially appealing to children. While all of these ingredients seem fantastic on paper, when they hit my throat, any beneficial effect they might have had was offset by my immediate reaction because of the stinging and pungent taste and my instinct to quickly spit it out. The same company that makes the throat spray also makes Gargle Away, an “advanced throat care” product to soothe sore throats, which contains seven natural healing ingredients, many of which are the same ingredients as in the spray. Once again, when I introduced to this product to my sore throat, the immediate effect was a stinging and burning sensation. The only time I can recall a similar feeling is when I eat food seasoned with Old Bay spice. I thought it ironic that my mouth and lips feeling like they were on fire did indeed distract me from the pain in my throat! Despite my initial reaction to these products, I’m going to keep trying it for the duration of my sore throat, because while the sensations are very unexpected from a product made to treat a sensitive, irritated throat, it might just be the course of treatment my throat needs to kill the germs and help speed up my recovery and healing. For anyone looking for a product that is different than all the others, and that does not contain a list of unpronounceable ingredients, this may be a good alternative. If nothing else, it is nothing like anything else you have tried before, and since nothing else I am aware of has ever cured a cold or done anything but temporarily relieve symptoms anyway, this certainly can’t hurt, well maybe for a few seconds it will. Thanks for giving Gargle Away a try (sorry about the sore throat, of course! ), but remember, this is an all-natural remedy, so the sensation you’re describing isn’t due to toxic chemicals — our ingredients (*specifically, the oregano and cayenne) are reducing bacteria and loosening mucus. They’re doing the job! Certainly, our fans have described the “kick” you experienced — but many, many Gargle Away users rave about its effectiveness. 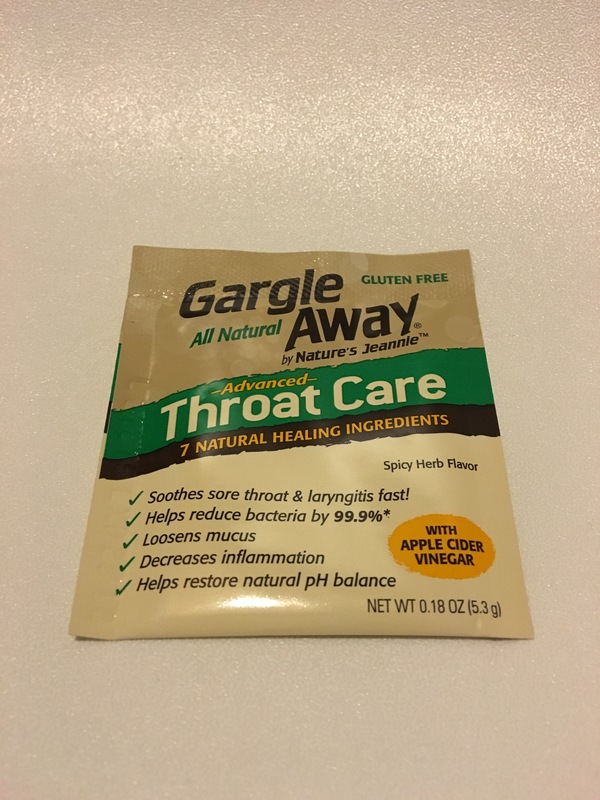 Professional singers, announcers, voice actors, and just plain folks have found Gargle Away a terrific alternative to other throat care products made with alcohol and chemicals. We suggest you continue treatment by giving that sore throat the treatment — with Gargle Away!